Home News What is a Mass Casualty Incident? Through a live feed from Scioto Post, nearly 2 million people were reached concerning the incident at Ross Correctional Institution. We were the first newsgroup live, on-scene at the event, and began reporting as soon as we could, to notify our viewership of the event. One issue that some viewers took issue with was the use of the term ‘Casualty’ in regards to the headlines involved in the event. We wanted to explain why we used the term and what it means. At approximately 9:46 am, the Scioto Post was tipped off via a scanner service of an event at the “Ross Correctional Facility”. We immediately dispatched a reporter, Jeremy, to the event, while another writer, Ben, prepared the byline for the live feed. Initial reports from our source termed the event as a “Mass Casualty Incident” or an MCI. Given time constraints, this was the term we used regarding the reported number of people affected at the facility. In listening to scanner and other available outlets to the Scioto Post, we were told that there were approximately 40 people affected in this event and felt it best to use this number to express the size of the event, having prepared the headline approximately 5 minutes before our reporter was on the scene. 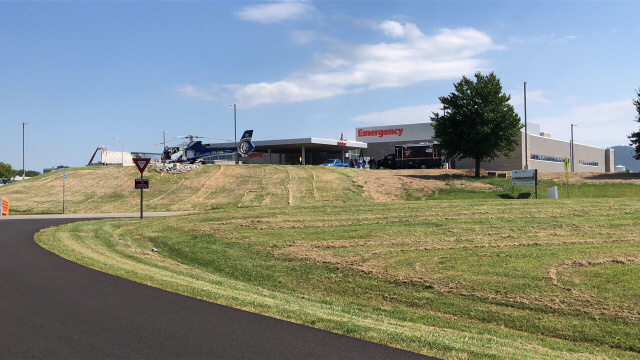 Initially, reports from the event put the total number of those transported to the hospital, as per OHSP was much lower, at approximately 13 people. The number was eventually revised upwards to a total of 28 people, which was lower than our initial estimate, but closer to the final total than other initial reports. When user comments questioned the usage of the term casualty, we revised the headline to state injuries, as well as updated totals to the incident as best we could. However, the nature of Facebook also means that not everyone can see the revised statement initially. We do understand that one definition of casualty is “a person killed or injured in a war or accident.” However, in this event, our staff understood it as to be the DeValle Institute has expressed as the definition of a Mass Casualty Incident, using the additional definition of casualty, which is as per Webster’s Dictionary: “a person or thing badly affected by an event or situation.